Until July 2017 I had only ever walked in the UK and I decided I wanted to change that so I started looking at ideas for the Summer of 2017. 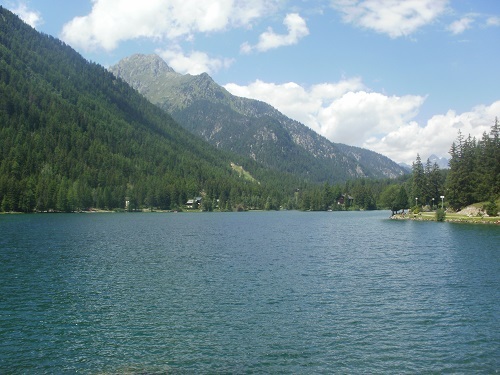 The Tour du Mont Blanc was highly rated by everyone so I started to look into that walk and quickly realised that it ticked all the boxes and started to make plans to walk the Tour du Mont Blanc in July 2017. 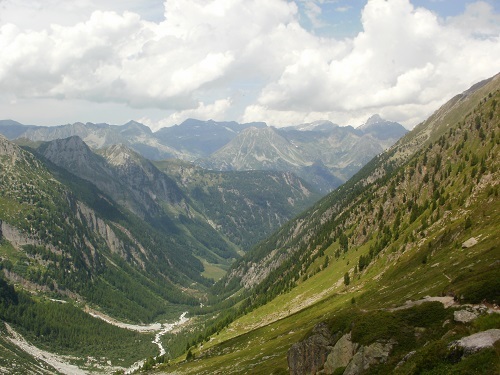 My first reaction when I looked into the Tour du Mont Blanc walk (or TMB as it's more commonly knows as) was just the thought that walking in the Alps might be too high and tough for me until I read more about it. I would walk more than twice as high as I'd ever walked before, previously I'd only climbed was Ben Nevis in Scotland which is 4,411 feet (1,345 metres) above sea level but on most days I would start my walk already over 3,500ft (1066m) so the ascent didn't seem quite so much. As soon as I arrived in Les Houches in France in July 2017 I knew that I'd made the right choice and that I would be in for some fantastic scenery and I was right, the photos and videos that I took just don't do the TMB justice as it is the most beautiful walk that I've ever done and I just wish that I'd walked it years ago. I walked for ten days and it only rained on the last day apart from a brief storm on Day 5 as I walked up the Grand Col Ferret, it was shorts and sun cream weather the rest of the time. There were so many highlights on my ten days, and so many "WOW" moments as I reached summits and more scenery would open out before me. Walking above Courmayeur when I first saw Mont Blanc cloud free was fantastic, it hypnotised me as I walked along the TMB that day with it to my side. 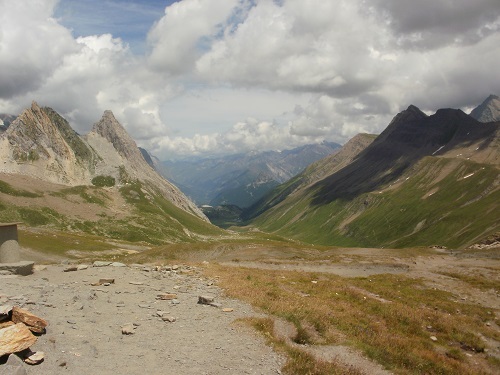 The good sunny weather meant that I took most of the alternative high routes and was rewarded with even more beautiful views than the lower routes, including the tough but fantastic Fenetre D'Arpette and the Col de Tricot. 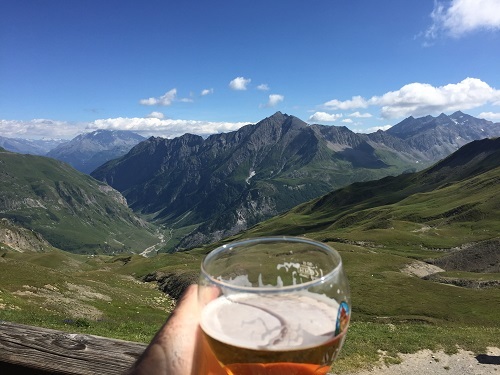 I also really enjoyed sitting with a beer during the day along the TMB or after my day's walk was over at my accommodation with the most beautiful mountain scenery I have ever seen. 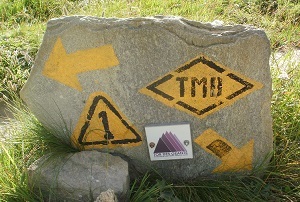 The walk was tough at times but the paths are very good and the TMB is well signposted and there is plenty of accommodation along the way so you can plan shorter days if you like, although these will be very busy. You can take lower routes on some days if the weather is bad or if you simply want an easier day but you will still have great views. 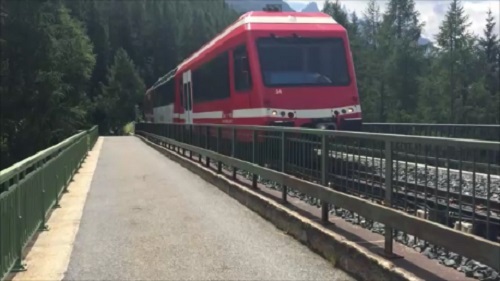 People of all ages were doing the TMB at the same time as me (some in their 70's) so you don't need to be a 20 year olf fitness fanatic to walk the TMB. I met many nice people from all over the world walking the TMB and saw many of them often during my ten days and enjoyed their company, especially in the evenings. Also, as someone who only speaks English, I was happy that in every accommodation I stayed at, they spoke good English and this was the same in shops and any public transport that I used during my time on the TMB and before and after it. I was very sad when my TMB was over and I left Les Houches as I'd enjoyed the whole experience and would gladly do it again but now I have to think about where I want to walk in the Summer of 2018 if all is well. 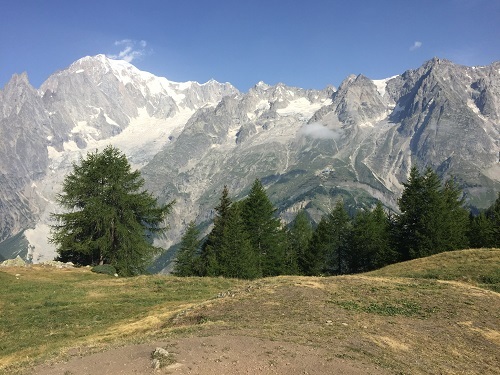 I hope you enjoy reading my TMB diary and the photos and video that I made along the Tour du Mont Blanc and that if you decide to do this walk, you enjoy it as much as I did and when you return home and look at your TMB fridge magnets every day, you will also raise a smile. On my TMB, I took many photos and I also made a video, please click on the link below to watch it.